The Academic Staff Union of Universities (ASUU) yesterday ordered its members in both federal and state universities nationwide to immediately proceed on indefinite strike action over Federal Govern-ment's refusal to sign the agreement it reached with the union about two and a half years ago. 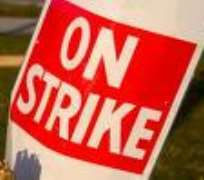 The strike may however not be total as the Ahmadu Bello University (ABU), Zaria branch of the union is not joining the strike action due to its earlier face-off with the national body. The university yesterday began its first semester examination with ASUU members serving as supervisors and invigilators. The Senate has, however, waded into the matter by asking the Federal Government to honour the said agreement and calling on ASUU not to proceed on the action. The agreement, according to ASUU, centres on four main issues namely adequate budgetary provision for education, improved condition of service that would check the problems of brain drain, university autonomy and academic freedom. Addressing reporters in Akure, the Ondo State capital, after its National Executive Council (NEC) meeting, the President of ASUU, Professor Ukachukwu Awuzie, said the Federal Government should be blamed for the current action of the union because the government had been playing hide-and-seek over the matter. Shedding more light on the agreements reached between the government and the ASUU teams, Awuzie said the two parties agreed that if Nigeria is to get to where it ought to be, a minimum of 26 per cent of the annual budget of both the state and Federal Governments should be allocated to education. According to him, with the agreed level of funding, the nation can halt the growing inability of the children of the underprivileged to get education. He said better funding would lead to improved conditions of service that could motivate scholars sufficiently to stay in the country and teach, do research and community service. ''To arrive at an agreement well thought-out and having the potential of leaping Nigeria's education to a higher level is one thing, signing and implementing the agreement to achieve the desired goals is another matter,” he said. The ASUU president said it was disturbing that the government which had scheduled various meetings for the signing of the agreement had at all times failed to show up at the appointed time and venue which made the union to declare the last two weeks warning strike from May 18 to 31, 2009. ''The union has since seen through the gimmicks and will not fall for them any longer. Enough is enough. We have embarked on this strike because the situation had remained unchanged since the end of the two week warning strike on May 31, 2009. ''Our members have come to the conclusion that over two and half years of patience is enough. They feel betrayed, duped and do not want to suffer any more psychological or moral trauma'', he said. Meanwhile, ABU yesterdaycommenced its first semester examination in defiance of the directives by ASUU for a nationwide indefinite strike action. It was gathered that the decision not to join the strike by ABU was collectively taken by the lecturers because of the two year-old face-off between the local branch and the national body. The Senate yesterday urged the Federal Government to honour the agreement it reached with the union. The Upper House also called on ASUU to exercise restraint and allow it to interface with the Executive arm of government on ways to meet the Union's aspirations within the limits of available resources. Chairman of the Senate Committee on Media and Information, Senator Ayogu Eze, who briefed Senate correspondents in Abuja ahead of today's plenary resumption, said the education sector was critical to the foundation of the nation.